Katheryn is an active solo, small ensemble and guest player. 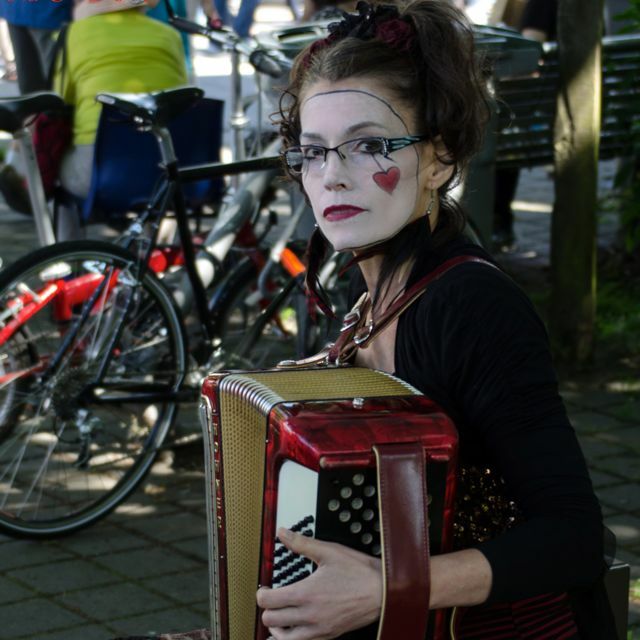 She has hours worth of memorized solo accordion repertoire, including some of her own originals, which she performs regularly at events ranging from social gatherings to art markets to festivals. She enjoys performing as a duo or guest artist with many fine musicians including Lindy Gray, Anna Baignoche and Babe Gurr. She has had the pleasure to play solo and in ensemble on soundtracks for film and theatre. A highlight was playing in the orchestral quartet that performed Elliot Vaughan’s outstanding set of miniatures for “From Whence He Came”.